Tokens. A blog by Artist David Wills. : Good Art #29. Portrait Of Journalist Sylvia Von Harden. Good Art #29. Portrait Of Journalist Sylvia Von Harden. 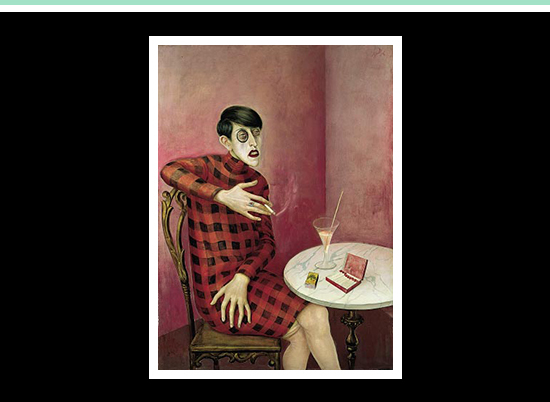 Otto Dix's depiction of German journalist and poet Sylvia von Harden is among my favourite paintings. It displays the ideals of Die Neue Sachlichkeit (New Objectivity), a movement which set out to capture the reality, decadence and social inequality in post-war German society. I get lost in this painting, its beauty exudes from every point. It calls to mind August Sander's potent photographs.